We are happy to cultivate a legal space that is informative and reassuring while still providing clients with the knowledgeable legal counsel they require. We aim to use our in-depth knowledge as estate attorneys and business attorneys to provide you with an approachable law experience. 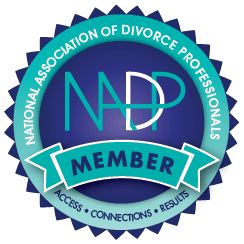 Our combined history of managing complex cases in wills and trusts, probate and estate cases and our work as guardianship attorneys have given us the experience to navigate a wide breadth of situations. Julian focuses his practice on estate planning, probate and guardianship administration and litigation, and corporate law. He has made regular radio appearances on WQBA in Miami, and television appearances on Telemiami. Before entering private practice, Julian was a legal intern in the Probate Division of the 11th Judicial Circuit Court of Florida in Miami-Dade County. Alejandra focuses her practice on probate, guardianship law, and estate planning. She has made appearances on media such as WQBA La Cubanisima, Radio Caracol and Buenos Dias Miami with Tomas Garcia-Fuste on Telemiami answering questions regarding legal advice in these fields. and to ensure your legacy is handled the way you desire. With our expertise, we can help you structure your estate correctly, build your business correctly, help receive an inheritance from someone who didn’t set up their estate properly or handle legal processes regarding guardianship litigation and concerns regarding the care of loved ones. We invite you to contact us today and connect with Julian or Alejandra to discuss the specifics of your situation and begin planning for the future of your estate and family today.